Every single year, the watch buying market is introduced to a bevy of new chronographs, each touting the ability to fill a void in the horological aficionado’s stable. In that the designs and technology backing these watches are highly influenced by industry trends, their chances of becoming time-tested classics are often slim to none. 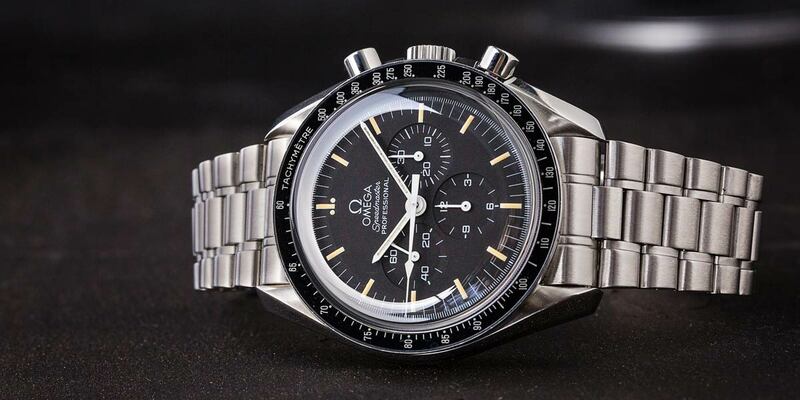 This is why so many collectors choose to invest in heralded icons like Omega’s legendary Speedmaster, or other models by Omega, that have no chance of going out of flavor anytime soon. Throughout the space-faring chronograph’s history, we’ve seen many stunning references, though none with a production run as long as the famed Ref. 145.022. Let’s now take a closer look at what affords this reference its reverence, and the various incarnations that have made it the watch collecting mainstay that it is today. 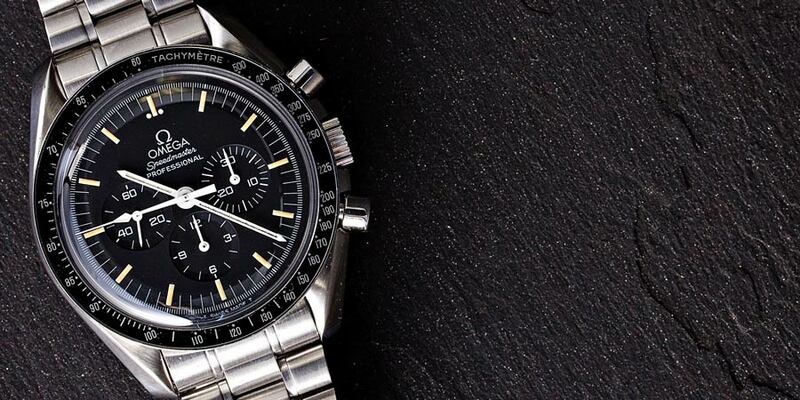 The Speedmaster 145.0022 is a watch that has stood the test of time. In the lineage of Speedmaster references, the 145.022 enters the picture at a truly exciting time in both the history of Omega, and the world itself. As its name would suggest, the transitional 145.022-68 was first introduced in 1968, approximately one year prior to NASA’s famed Apollo 11 moon mission. With this in mind, the absence of NASA flight qualification engravings on the caseback is understandable. This was also the very first Speedmaster to incorporate the Cal. 861 movement, which the current production Speedmaster calibers are still based off of to this day. These are without question the most desirable of the 145.022’s, since they can often be found with applied metal logo’s on their dials, and the coveted “Dot Over 90” bezel inserts that now command handsome sums on their own. 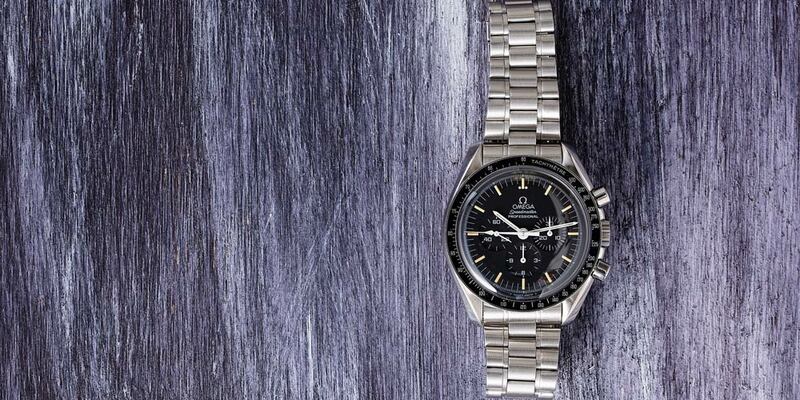 The Speedmaster 145.0022 is a great watch to start your collection into vintage pieces. Following this sub-reference is 1969s 145.022-69, which would coincide with the occurrence of one giant leap for mankind. To the untrained eye, this watch might appear no different from the 145.022-68, but after taking a closer look, scholars and trained collectors will note a more squarely ended chronograph hand, shorter plots on the dial, and the Omega logo painted right on the dial. The reference’s 1969 variant can now be found with three different casebacks, each reflecting the period in which they were manufactured. Some received the NASA caseback engraving now found on all Speedmaster’s, promoting its status as the first watch worn on the moon, though increasingly rare “Pre-Moon” examples can still be found with plain casebacks, engraved with only the word “Speedmaster,” the Omega logo, and the brand’s hippocampus emblem. A variant with text engraved in straight lines exists as well, which collectors now tirelessly pursue. Subsequently, Omega would release the references, 145.022-71, 145.022-74, along with the 145.022-76 and 78. These are characterized by the loss of a dial step, and the addition of stamped casebacks. It’s worth noting that as the 78 would indicate, the reference as a whole had a decade-long run, making it the longest-running Speedmaster reference in the history of the model’s production, and arguably one of the most significant references in Omega’s back catalog. It’s not only the watch that celebrated the brand’s momentous achievement of getting one of their own watches on the moon itself, but the watch that endured the “Quartz Crisis” as well. A vintage Speedmaster 145.0022 still retains their ability to track time accurately. So why is the 145.022 such an important and popular reference? For one, certain variants represent one of the most accessible entry points into the world of important vintage chronographs, given the length of their production run, and plentiful nature of available examples. Secondly, they’re extremely reliable, as a result of the less delicate, cam-actuated Lemania-based Cal. 861 movements. These are known to be rather tough, and have certainly aged with grace. Combine all of this with the Speedy’s celebrated NASA history, and you’ve got a wonderful combination of tremendous value, good looks, historical significance, and mechanical prowess, which at the right price simply can’t be refused.